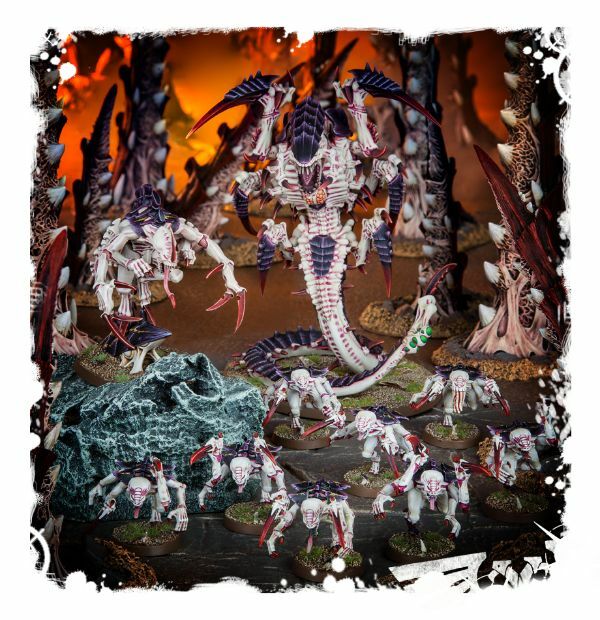 A seemingly numberless horde of ghastly super-predators, adapted bio-weapons optimised for the kill - the Tyranids emerge from the cold darkness of the intergalactic void. They hunt, kill and feed endlessly, stripping the galaxy of all organic matter they encounter, ravenously devouring every morsel of life and leaving nothing but dead, scarred rocks in their wake. #GAW 70-51 - Price: $ 85.00 - $ 68.00 On Sale! 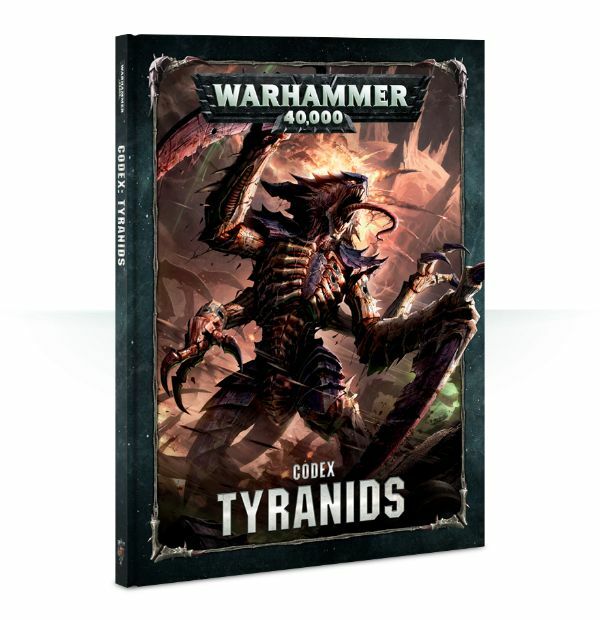 - Hive Fleet Adaptations for the following 7 Hive Fleets: Behemoth, Kraken, Leviathan, Gorgon, Jormungandr, Hydra and Kronos; - 6 unique Warlord Traits available for any Tyranid commander; - 7 Warlord Traits specific to the above-named Hive Fleets; - 28 unique Stratagems; - Bio-artefacts of the Tyranids: a selection of 12 rare weapons, spawned by the Hive Mind to ensure the galaxy’s doom; - Hive Mind Discipline: 6 psychic powers available to any Tyranids model with the Psyker keyword; - 6 unique Tactical Objectives. #GAW 51-01 - Price: $ 40.00 - $ 32.00 On Sale!